Scrapping with Liz: Week 12: Violin Recital, School Work, Snow, Speeches and Fun! 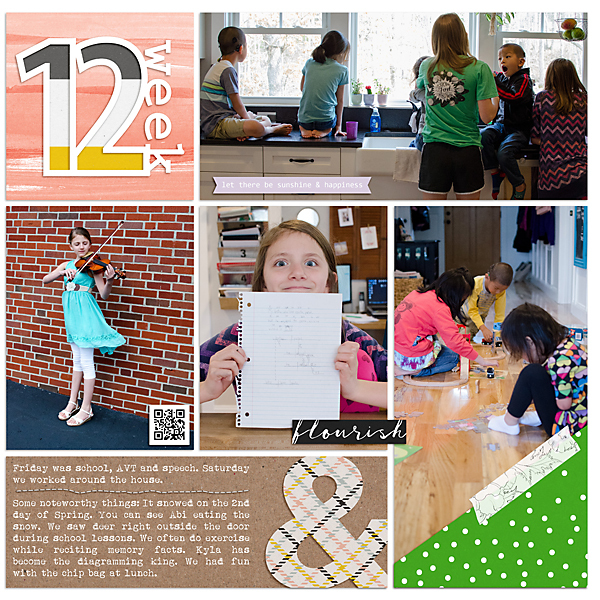 Week 12: Violin Recital, School Work, Snow, Speeches and Fun! This week was fun. I captured a lot of our normal around the house activities: school, play, fun. Sometimes I think my weekly pages all sort of look the same but this is my life. We learn, play and have fun. And I was reminded this week why I scrapbook. I finally ordered my 2017 pages and put them together in an album. My kids spent hours looking at the pages this weekend. You can see one of the pics on the top page (bottom right pic). I'm not sure I'm going to do a review post about it since I used the same format as my 2015 and 2016 album. Just check out those links if you want to see how I'm putting together my albums and why I like them so! Keep up that scrapping! It's worth it.